The maps on this page show the State of Arizona. The first map depicts the state's shape, its name, and its nickname in an abstract illustration. The detailed cutout map shows natural and man-made features in the State of Arizona. Natural features shown on this map include rivers and bodies of water as well as terrain characteristics; man-made features include the Arizona state capital and other population centers as well as highways and major roads. To zoom in on the detailed Arizona map, click or touch the plus (+) button; to zoom out, click or touch the minus (-) button. To display the state map in full-screen mode, click or touch the full screen button. (To exit the full-screen mode, click or touch the exit [x] button.) To scroll the zoomed-in map, swipe it or drag it in any direction. You may print this detailed Arizona map for personal, non-commercial use only. For enhanced readability, use a large paper size with small margins to print this large Arizona map. This Scale of Miles applies to the Arizona cutout map on this page, at its largest displayed scale. 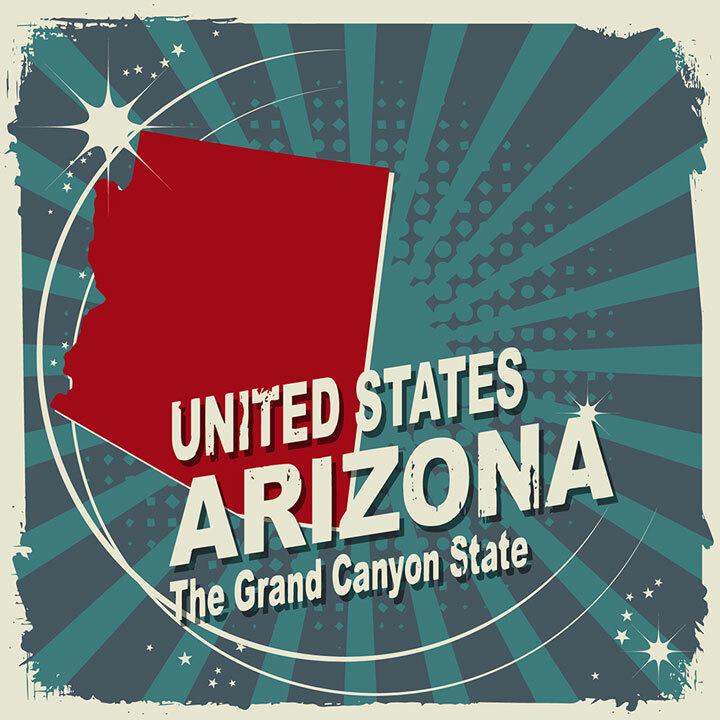 For additional Arizona maps and geographical information, pay a visit to the Arizona Department of Library, Archives and Public Records. Arizona-Map.org is a State Maps reference source.